Reducing our grocery spending didn’t come easy to me. If it weren't for Erin Chase of $5 Dinner Moms, I would likely still be in line at Chipotle more nights than I care to admit. 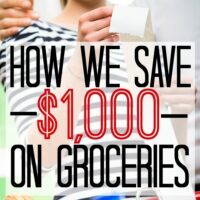 To put it bluntly, I sucked at budgeting for groceries. I used to make elaborate meal plans and then never cook the meals. You know, because beef wellington is totally a normal weeknight meal. I made meal plans and shopping lists without thinking of food prices only to get to the store and find out my grocery bill for the week was astronomical. I would buy the Sunday paper for coupons, only to end up buying tons of things with coupons that we didn’t need. I wasted money instead of saved it. I gave up. I figured that I must be missing the “meal planning gene”. But that's not the end of my story. Thanks to a completely random run in with this book at the library about 5 years ago, Erin Chase saved our budget. This had the single largest impact on our spending. We reduced our grocery spending by over 70%… That saved us hundreds of dollars every month that we could put into paying off debt. If it weren't for the grocery spending breakthrough… I could never have saved enough money to stay at home with our kids. I learned the hard way though… I bought each of her books, read everything she wrote, and checked in to her website ($5 Dinners) several times a week to slowly improve our grocery spending. It took me a long time, but it was worth it. Over time, she taught me everything I needed to know, including how to cook! You don't have to waste years like I did though! 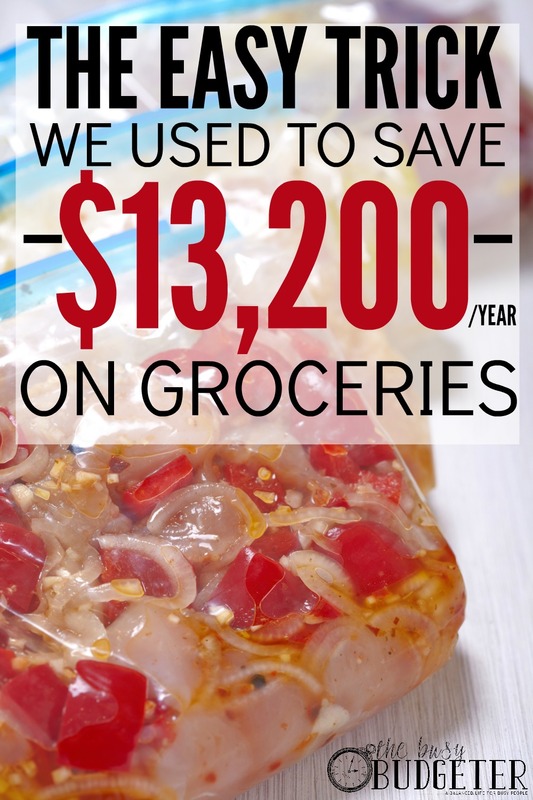 You can skip right to the easy way to save money on groceries! Erin has an online course available a few times a year called The Grocery Budget Makeover. It teaches you step-by-step how to cut your grocery spending significantly (50% or more isn't unusual!). This frees up a ton of extra money to pay off debt, build up savings or pay for those big goals. 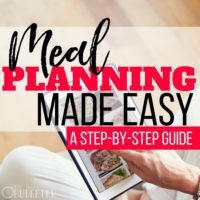 If you think you spend too much on groceries and you’ve struggled with meal planning, you would be crazy not to get this course. I’m embarrassed to tell you that when I started this financial journey, we were spending over $1,600/month to feed two people. 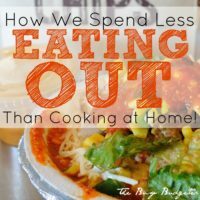 Erin Chase completely changed our grocery budget and we now consistently spend less than $500/month to feed four people and frequent guests. I don't want you to just get the course though, I want you to take it seriously. Watch the weekly lessons, do the assignments and really put your heart and soul into this. I’ve taken the entire class and can't encourage you enough. Getting a basic reference sheet of favorite meals. Creating an effective shopping list. 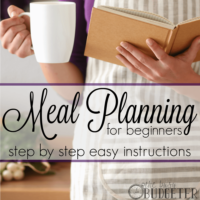 How to meal plan effectively. How to avoid marketing traps. How to stockpile for normal people. Time saving kitchen and cooking hacks. They have several bonuses including cooking tutorials and a whole lesson on saving money when shopping for allergy friendly foods! As a mom with a little guy that can't eat milk, eggs, or peanuts this was a blessing! There’s a catch (isn’t there always? ), because it’s only available a few times per year, you need almost perfect timing to grab the class. Your best bet to make sure you get the class is to join the waiting list by entering in your email address below. You’ll also get the pre-course information to start reducing your spending right away and a few free freebies. Erin Chase made it possible for me to quit my job to stay at home with our kids when she taught me how to make over our grocery budget. That one new skill, has made the biggest difference in our financial journey so far with a yearly savings of $13,200. Once you learn them, you have those skills for life! At the time of writing, it’s been 4 years since we reduced our grocery spending from $1,600 to $500/month. Which is a total savings of $52,800. It’s difficult for me to imagine what our life would be like if I never learned these skills. We would be struggling for sure! You can sign up in the box below to get updates on Grocery Budget Makeover. SO GLAD i FOUND YOUR BLOG! I think I found you on Pinterest? Your blog continues to inspire me even when I have nothing left in my bag of tricks. Thank you for that. I look forward to learning more here! I have so been there! Getting Jon on board took some work, but when it finally happened- WOW! We were unstoppable! The Busy Budgeter recently posted…How do Bloggers Make Money? As a single person, I don’t spend too much on groceries. My big problem is wasting some of the food I do buy because it goes bad before I get a chance to cook it. Also, takeout is another problem area in my budget.